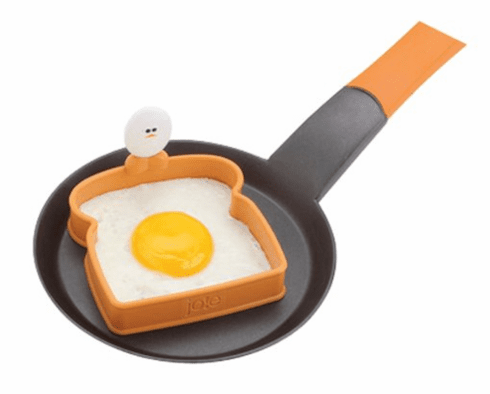 The super fun toast top egg shaper makes toast-shaped eggs, perfect for egg sandwiches. Made of heat-resistant silicone, shaper is safe to use in temperatures up to 536-Degree Fahrenheit. By joie - fun for all ages.